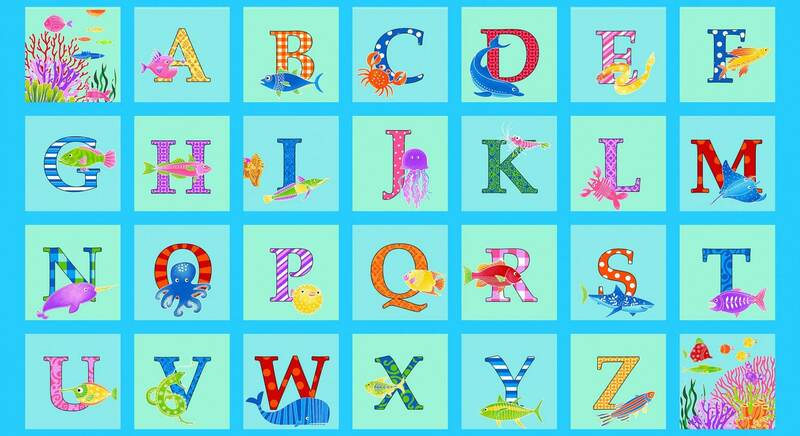 What swims under the sea your little one asks? 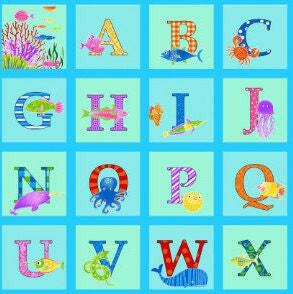 Now you can show them what swims under the ocean and teach them the alphabet too! Beautiful shades of aqua blue each square measures 5 inches with a 3/4 inche sashing. 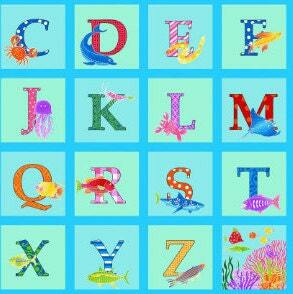 Inside each block an alphabet is shown along with a fun underwater fish. Wonderful shades of red, orange, pink, lavender, blue and green helps to bring this wonderful panel to life. All fabric from The Quilted Nursery Fabric Store is cut directly from the bolt in continuous yardage unless otherwise specified. We now offer fractional yardage cuts for your shopping convenience. All purchases are shipped in 24 hours except for Sunday and holidays. All shipping overages are refunded upon shipment of fabric!